Despite it being super long (it wraps around my neck three times), I finished it within a few days, using all four 50g balls. Me, being me, then felt the need to add a little extra. A little trim or flourish to make it 'mine'. I'm definitely going to include the chocolate bow. I love it. The edging you see in the pictures is, I think, one of about thirty different attempts though. I've spent more time faffing around with that than I have making the whole scarf. And I'm still not sure it's right. It's been driving me bonkers! So I've put the scarf down and am ignoring it for a few days. Ha! *I started with a chain of 300 (using a 6mm hook) and then crocheted (with a 5mm hook) alternate rows of regular half treble (half double US) and half treble in the back loops. 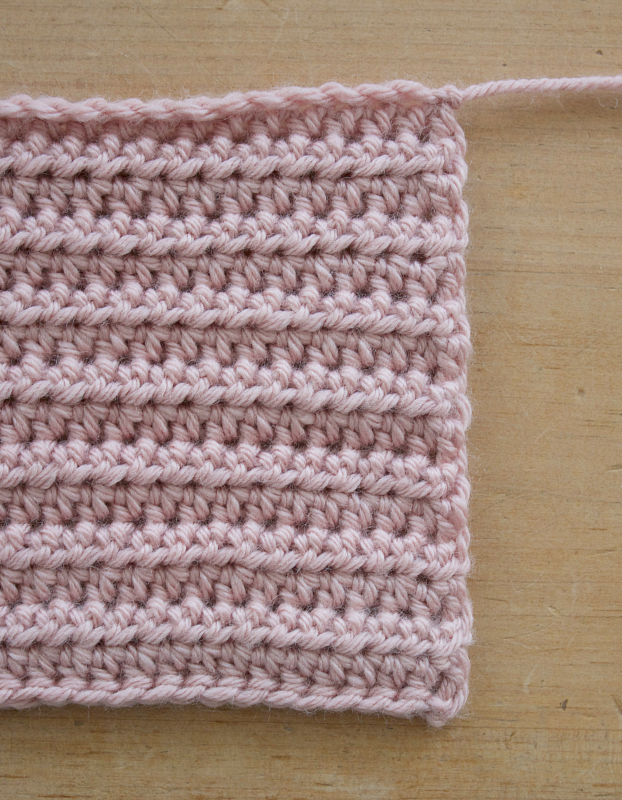 I only used one chain at the beginning of each row rather than two - it has created a much neater, straighter edge and has stopped the scarf splaying out at the ends. I must tell you about my latest yarn crush too. 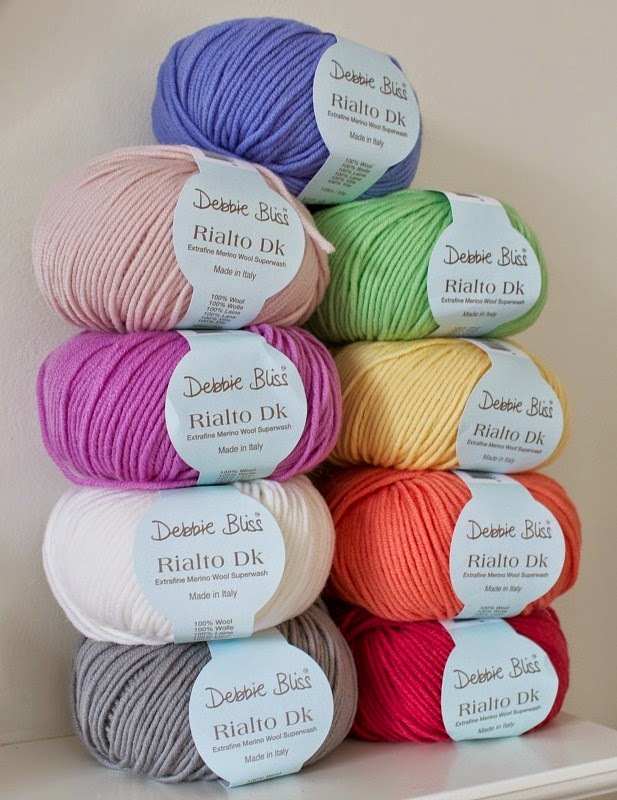 Debbie Bliss Rialto dk. Have you tried it? I bought one ball before Christmas to try and, OMG, it's just gorgeous! 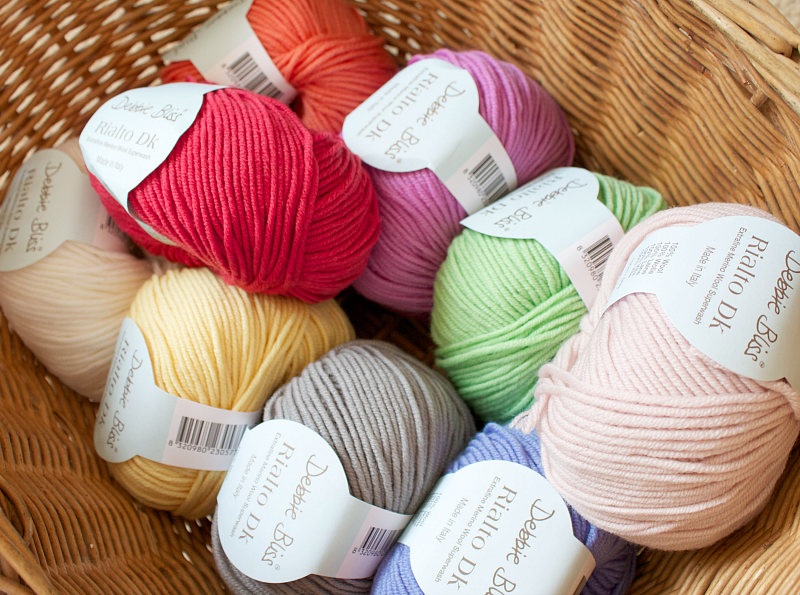 It's 100% wool, as soft as butter, drapes like silk and is a total dream to crochet with. I've reinvested some of my pattern earnings and bought a cheery selection for my next design. How fabulous are those colours? I've done nothing more than gaze and occasionally squish them so far but the itch to break into them has already started! The title of this blog post applies to all areas of my life at the moment. I just wanted to reiterate how very much I appreciate your comments and emails which I'm continuing to receive on a daily basis. I stand by my promise to reply to every single one but it's going to take me a little longer than I'd originally intended for a variety of reasons. Please be assured that I am reading them and I will be in touch soon. 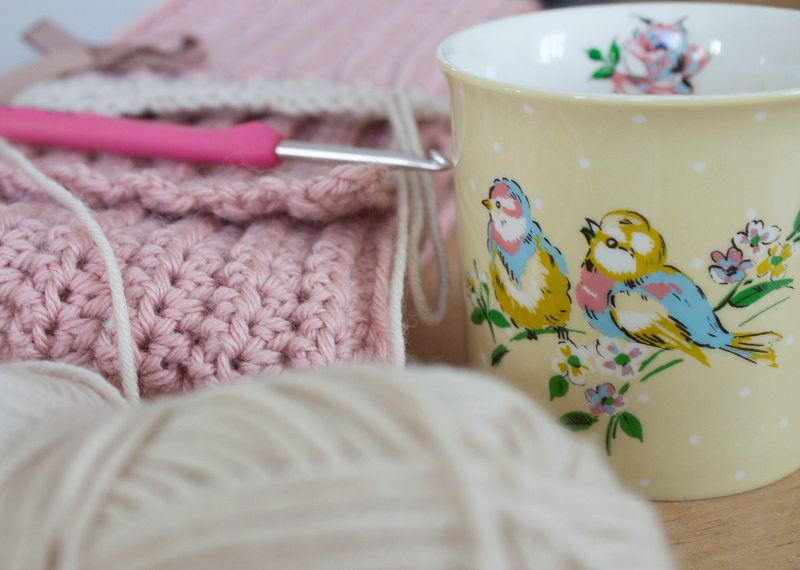 That yarn looks delightful, so does your scarf! Oh Heather , I totally ♥♥♥ it ! So pretty, and I agree with you about the little bow, its perfect. Personally I'm loving that edge but if I could choose another option I would have to go for a teeny tiny string of bobbles. 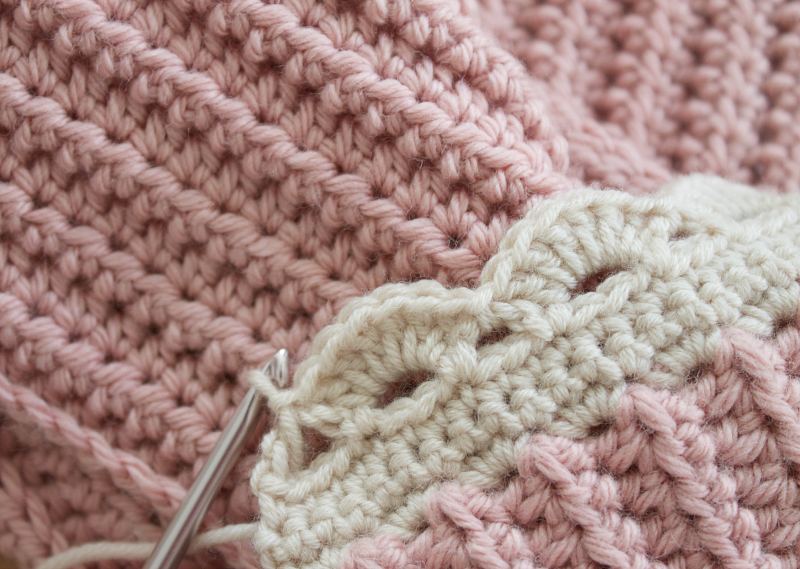 Don't know if you've seen it or not but the new magazine #crochet, issue 2 has a really simple pattern for a bobble edging and its so delicate. I've never tried the Debbie Bliss Rialto ( and I have to say I'm very surprised you haven't sniffed it as well as squished it ) but I'm so going to have to rush out and buy some now ! Gorgeous scarf Heather...and very you. The little bow is a keeper I think. Your new yarn is scrummy. The scarf is lovely. The white dainty edging finishes it off just right! Your scarf is so darling! Wonderful work. I love the edge, but a scalloped edge is pretty much all I know how to do! 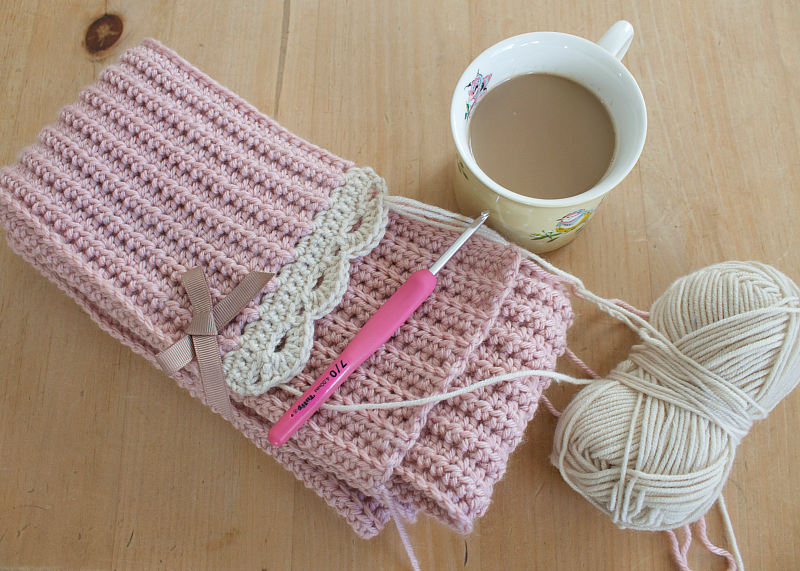 Your pattern for the scarf is brilliant, I have used it at least twice but will take into account your helpful hints when I make my next one. And yes, I have used the Debbie Bliss Rialto. I made a scarf for my Mum out of it using mauve, duck egg, and 2 other colours. It was a dream to crochet and she loves it. She said lots of people have commented on it when she's been out walking the dog. Picture of it here: http://pebblecollecting.blogspot.co.uk/2015/02/its-all-gone-bit-pete-tong.html (if the link works!). Debbie Bliss is a yarn that gives good stitch definition, but be careful when washing and dry it flat! I carefully dunked my newly finished top in bowl in the sink....could not believe the shape and length it stretched to...panic! A quick spin in my little spinner and then dried it flat ,on towels. Went back to its original size huh...weird stuff....wouldn't use it again. Heather, I love your scarf. The pattern and color is just yummy. I have wanted to try some Debbie Bliss yarn for so long. I will break down and buy some once I find just the right project to use it on. Especially with the indulgence of the price. I have a stack of rialto in much the same colours, not sure what to do with it so cant wait to see how you use yours, its too good to just make any old thing!